Nancy Wilson (of the rock group Heart) was married to Cameron Crowe (director of the movie ‘Elizabethtown‘). 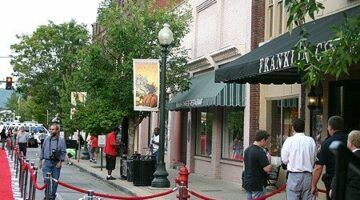 As a result, she was at the Hollywood red carpet movie premiere for Elizabethtown which took place in Franklin, Tennessee. Here are some of our photos of Nancy Wilson taken at the premiere.